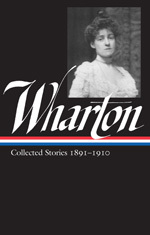 Edith Wharton loved ghost stories and included a good number of them among the more than eighty pieces of short fiction she published during her career. (We previously offered one of her creepiest tales, “Kerfol,” as a Story of the Week selection.) In 1910 she published the collection Tales of Men and Ghosts; one of its most acclaimed stories, “The Eyes,” opens when a group of men have finished sharing personal tales of “supernatural impressions.” After most members of the party leave, the host relates to his remaining two companions, including a young acolyte, an account of his own “ghost.” The story within the story, however, is a tale of psychological dread rather than an account of rattling chains and eerie moaning. To be sure, the host seems to be haunted by a spectral manifestation belonging “to a man who had done a lot of harm in his life,” but the tale reveals even more about the teller. W e had been put in the mood for ghosts, that evening, after an excellent dinner at our old friend Culwin’s, by a tale of Fred Murchard’s—the narrative of a strange personal visitation. . . . If you don't see the full story below, click here (PDF) or click here (Google Docs) to read it—free! er, uhm...I must be pretty shallow. Is the storyteller seeing his OWN eyes throughout the story? I suspected that was the case when the eyes first appeared--that Mr. C was looking into a 'mirror,' i.e., seeing himself as he really was. Does the younger man at the end realize this & weep for the older man? I guess that's it. I found the story 'unbalanced,' in a way--why so little about the girl he snubbed, but so much about the young man? Was the hint of homo eroticism more titillating then, as now? No matter what, I love Wharton's style & read many of her novels after the movie 'Age of Innocence' came out.